MANILA – Local affiliates of the global activist alliance, International League of Peoples’ Struggle (ILPS), are set to picket outside the Turkish embassy this week to condemn the Erdogan regime’s on-going crackdown of the democratic opposition including the arrests of leaders of the pro-Kurdish People’s Democratic Party (HDP). 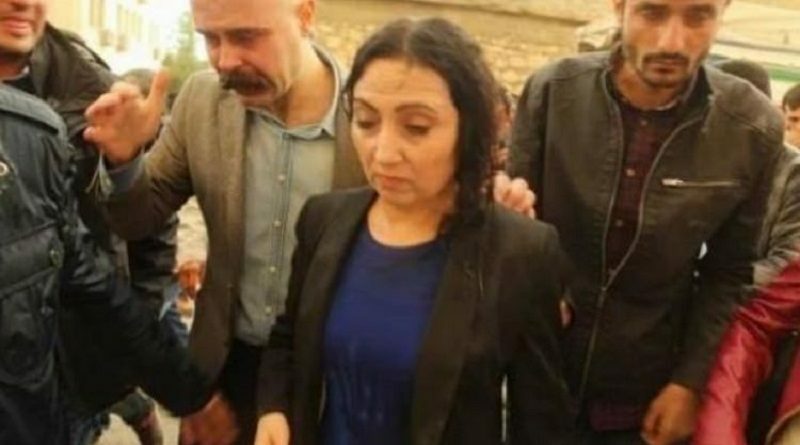 Two leaders of the HDP, Selahattin Demirtas and Figen Yuksekdag, were arrested last November 4 along with a dozen of its MPs. Journalists and editors of the opposition Cumhuriyet newspaper were also arrested while major internet providers restricted access to Twitter, Facebook, and the WhatsApp social messaging app. “We stand in solidarity with the Kurds and the Turkish people to demand the immediate release of those detained,” ILPS-Philippines Chairperson Elmer Labog said. “We urge the Duterte government to file an urgent protest against the repression,” he added. The Erdogan regime is a US and EU ally, both of which were also criticized by Pres. Durterte in his public speeches. The Philippines Chapter of the ILPS is also seeking a support action in Congress to express solidarity with the HDP lawmakers. Kurds and their supporters have protested in their thousands in Cologne, Paris, London and other cities while Turkish riot police used water cannons and tear gas against protesters in Istanbul. “We are one with the struggles of the Kurds in Turkey, Syria, Iraq and every place where they are fighting for freedom and against terrorism. Their People’s Defense Units (YPG) under the Kurdistan Workers Party (PKK) are effectively fighting ISIS/Daesh in Northern Syria, in taking back Aleppo and Raqqa, and now Mosul in Iraq. The Turkish tanks and troops only seek to cut the expansion of the Kurds and abet the real terrorists,” the ILPS-Phils said. The HDP, meanwhile, has decided to halt legislative efforts and would not participate in general assembly sittings or parliamentary commission meetings according to its party spokesman Ayhan Bilgen.